Pay Scale: Rs. 30,000/- to Rs. 35,000/- commensurate with qualification and relevant experience. Experience Requirements: Minimum 3 years experience in handling maintenance of AC plant rooms and HVAC works. 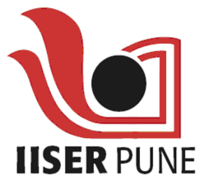 Indian Institute of Science Education and Research, Pune invites application form for the various posts of Junior Engineer (Mechanical). Qualification :Diploma in Mechanical Engineering.